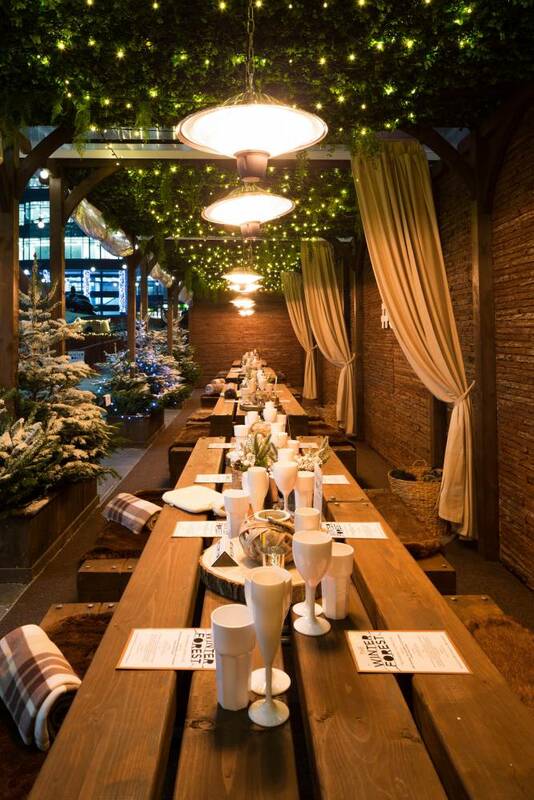 Broadgate’s Winter Forest venture has transformed Liverpool Street’s Exchange Square into a pop-up Nordic wonderland, complete with snow-covered pines, a tipi cinema and an exclusive dining area. Over the next three weeks, the eatery - aptly named “The Hideaway” – is hosting an atmospheric supper club experience with an array of delectable festive dishes for guests to savour. The Hideaway’s intimate design is inspired by a classic Swiss chalet. The long dining tables are adorned with tasteful ornamentation, while wooden benches are draped in cosy faux fur to keep out the December chill. Additional details, such as thick throws and hot water bottles, add to the space’s charm. The founders of The Hideaway Supper Club have collaborated with two of London’s specialist food companies, SWITCH and Schmaltz, to create a unique culinary experience. 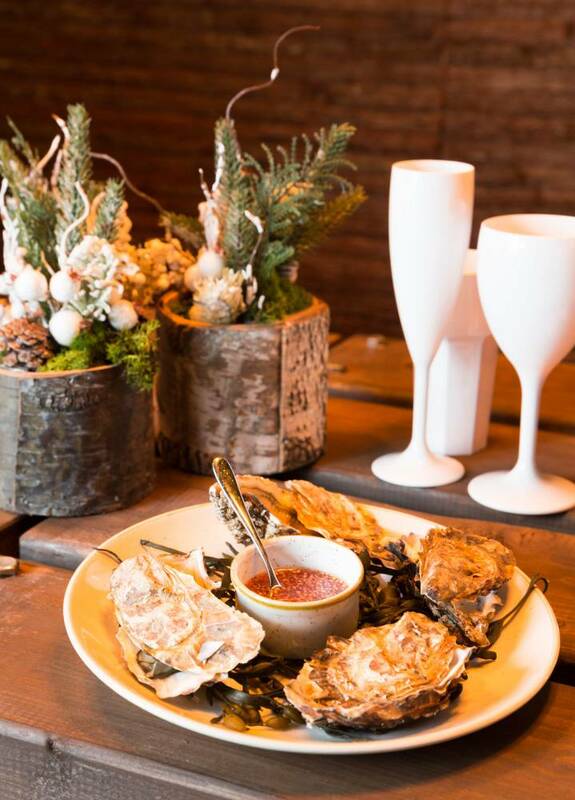 The first of two set menus (designed by the creator of SWITCH) consists of appealingly indulgent ingredients, starting with freshly shucked oysters and black truffle toast followed by a main of succulent tomahawk steak with bone marrow. A glossy valrohna chocolate pave rounds out the meal. The second set menu, designed by the inventor of Schmaltz, is equally as extravagant, kicking off with caviar and morel ravioli before truffle and sage stuffed chicken is served with whole lobster. For dessert, the rich valrohna chocolate pave features once again. Presenting a traditional festive experience with a sophisticated yet unstuffy approach, The Hideaway Supper Club is the perfect way to enjoy the winter season with friends newly acquired over the dining table.